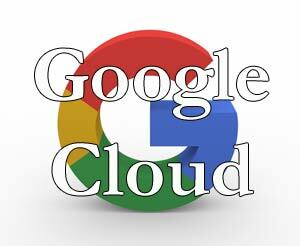 A lot of people use Google’s cloud services to create documents, spreadsheets, slide presentations and forms. Recently, Google introduced a new way to create this things very quickly. And once you set it up, you can literally do it with a single click. If you use Microsoft Word, you know you can create a new Word document and save it on your computer’s hard drive. With Google Cloud, you can create a new document right there on your screen using your Google account. It will look just like a Word document. You can edit it, save it, print it, or send it to someone. It’s not stored by default on your computer’s hard drive. It’s stored on Google’s computer’s hard drive. That’s the fundamental definition of “the cloud” – some computer other than your own. This means that in order to work on that document, you don’t need to be at your computer. You can log in to your Google account from anywhere in the world, on a desktop, laptop, tablet, or phone, and create and edit Google documents. You can give other people access to that document. So if you want to collaborate on the content, or have someone proofread or edit it for you, you can give them access. And of course they can do all of this on their own computer, since the document is stored in the cloud. You don’t need to email it to them or have them get on your computer – just send them a link to access it. Up until recently, in order to create any of the above items, you had to log in to your Google account, go to Google Drive, figure out what you wanted to create, click on My Drive, then go down to Google Docs, and click on Blank Document. Multiple steps. 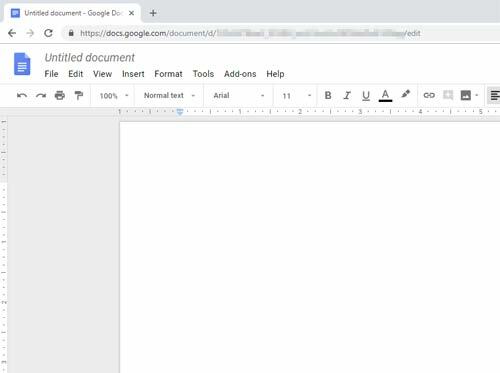 And immediately on your screen you are presented with a brand new blank Google document, ready for you to enter your content. Now we can take it a step further to make it even EASIER. When that blank document comes up on your screen, take the URL (the address in the address bar at the top) and drag that to your Bookmarks bar. Now you have a bookmark link right there on Chrome, named “Untitled Document”. So whenever you want to create a new document, all it takes is a SINGLE CLICK on that link, and you have your new blank document ready and waiting for you to start working on it. And that’s just to create a new text document.